The Patriots are leaving on Sunday to take part in their third Super Bowl in a row and their fourth in the past five seasons. While much of the talk and deservedly so centers around the relationship of Head Coach Bill Belichick and QB Tom Brady who are competing in their ninth Super Bowl together, one other player will be critical to the Patriots success next Sunday. 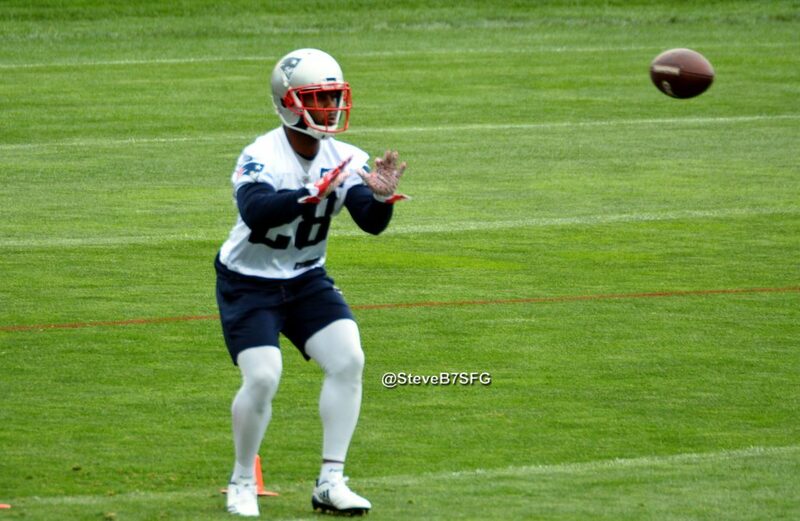 Running back James White. It is a given that if you took a poll of the best running backs in the NFL, White wouldn’t sniff the top 15 or possibly even further. But in this Patriots offense, White’s role is such that he can be the mismatch that the coaches are looking for to ignite the rest of the offense. White doesn’t carry the ball much in the running game. 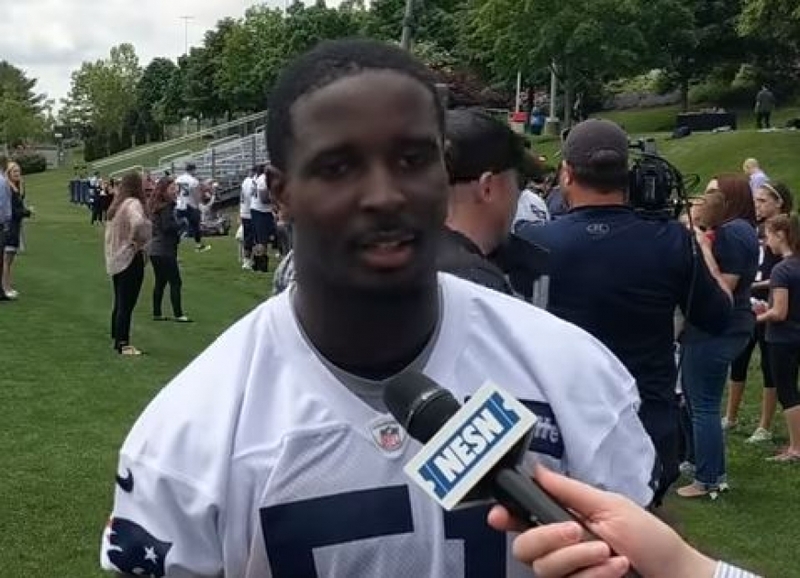 They have rookie Sony Michel and veteran Rex Burkhead to handle the majority of those duties. No, White’s value in mostly in the passing game where he is simply outstanding. That’s why he’s our “X-Factor” in the Patriots offense next week in Atlanta. The Rams have struggled to cover running backs out of the backfield and tight ends all season. And the Patriots will be looking to continue that trend next week. And in 2018 White has been terrific. He’s averaging 6.5 yards per every touch he gets either in the passing or running game. That is 2nd best in the entire NFL. He averages about 47 yards per game receiving, which was 3rd best. White is a movable chess piece. Often Tom Brady will put him in motion to find not only a mismatch against a linebacker but will often get the defense to declare what coverage they are in. And when the lights are the brightest, that’s when White shines the most. In the Super Bowl two years ago against the Falcons, he was immense. He carried the ball six times for 29 yards, (4.8 yards per rush) and two touchdowns, including the game winner in overtime. In the passing game, White was even better catching 14 passes for 110 yards and another touchdown. In White’s career he’s played in 10 postseason games, he has 33 carries for 128 yards but with five touchdowns. And he’s caught 53 passes for 439 yards and three more scores. A total of eight touchdowns in 10 games. This year, it has been more of the same. In the Patriots two playoff victories over the Chargers and Chiefs, White has caught 19 passes for 146 yards. Against the Chiefs, we looked at the box score after the game and were frankly amazed that his numbers didn’t jump off the charts. Six carries for 23 yards and four catches for 49 more. While watching the NFC Championship Game, RB Alvin Kamara was a matchup nightmare for the Rams defense gaining 96 yards on 11 catches. No doubt Brady and Josh McDaniels watched that tape too. The Patriots have a deep and diverse backfield of Sony Michel, Rex Burkhead and White. Michel is the workhorse in the running game while White is the go-to player in the passing game. But Burkhead can do a little bit of both quite well and it just makes the defense’s job that much harder. White was raised by a talented athlete in his father who became a law enforcement officer as well as his coach. And the elder White taught his sons about committment, teamwork and hard work. He was thrilled when James was drafted by the Patriots and Bill Belichick in the 4th round of the 2014 NFL Draft. The Patriots will be looking for Super Bowl win #6 against the Rams next week and White will be a big part of the offensive game plan. It will be interesting to see how the Rams decide to cover him. In the current postseason, White leads the all NFL backs with 2.81-yard average for every route run. White isn’t quotable, he’s humble, down-to-earth and takes nothing for granted. He’s always prepared and has the utmost confidence from Brady in the offense. He has “Only the Strong Survive” tattooed on his chest, and that is fitting. Because when the chips are on the line in the Super Bowl, Brady and the Patriots won’t hesitate to call White’s number. 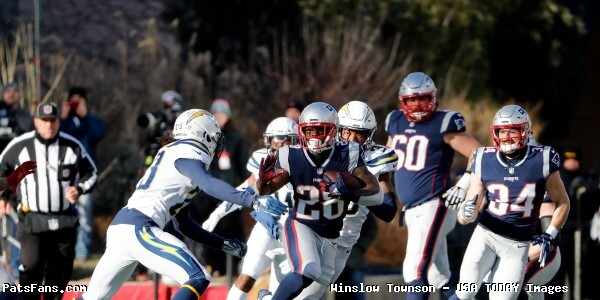 This entry was posted in 2018 Patriots playoffs, NFL Commentary, NFL News, Patriots Commentary, Patriots Film Room, Patriots News and tagged Bill Belichick, James White, Los Angeles Rams, New England Patriots, Patriots running backs, Rex Burkhead, Sony Michel, Super Bowl LIII, Tom Brady on January 26, 2019 by Steve Balestrieri. This week some light was finally shed on what the illness was that sidelined Patriots offensive tackle Tony Garcia last season. Jeff Howe of the Boston Herald reported that Garcia suffered from blood clots in his lungs citing a source. Because of that, Garcia was placed on NFI and was lost for the season. He was placed on blood thinners which caused him to lose 40 pounds. Supposedly, he’s back in the weight room and is expected to make a full recovery. However, his return to the field is uncertain at this time. Some other good news is that LB Harvey Langi is expected to be a full-participant in the Patriots off-season workouts. Langi too was placed on NFI after both he and his wife were severely injured when their car was rear-ended at a traffic light in Foxboro. Langi and his wife are reportedly fully recovered and he’s expected back on the field. Combine Fast Trackers: Things are beginning to heat up at the 2018 NFL Combine. It is always intriguing to watch some player’s stock rise or fall depending on their performance there. Although most coaches believe that the most important factors are the medicals and/or the interviews. One player whose stock rose quickly last season was Grafton, Massachusetts native and UConn alum Obi Melifonwu who drafted by the Raiders. His first NFL season was marred by injuries and he appeared in just five games. He was placed on IR with a hip injury that required surgery. We ran into him this week, as he was back in Mass. and he’s almost fully healed now and said that he should be ready to go once the Raiders kick off their workouts. The NFL conducted the coin flip between the Raiders and the 49ers in regards to the upcoming NFL Draft and the Patriots compensation in the Jimmy Garoppolo trade is now settled. The coin flip was done at the NFL Combine and the 49ers won the toss which means they’ll get the 9th overall pick in the draft. The teams will rotate picks in the second round which means the Patriots 2nd round pick via SF will be # 43. With the added selection, it brings their total draft picks to just six this season. A lot of people are already salivating over the group of talented running backs in this year’s deep class at the NFL Draft in the event that the Patriots will lose either Dion Lewis and/or Rex Burkhead, perhaps both. We’ve read that the free agent hype on both is heating up. It is often difficult to gauge that before free agency starts because often times it is created by the players’ agents trying to inflate the players’ worth. We aren’t saying that it the case here, just that it has happened before, we won’t really know until the official tampering period begins. So, while the blow could definitely be softened by dipping into this class of backs that are out there in the draft if either or both Lewis and Burkhead move on, it can also work in the Patriots favor in the opposite way. It could help them retain their services. The free agent market may not lend itself to overpaying and high bidding on running backs since the draft class is so deep. So that may work in the team’s favor if they decide to make a play to retain their services. 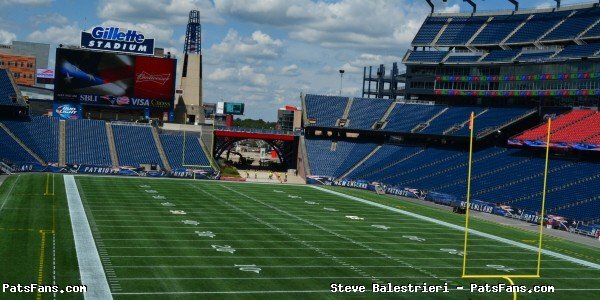 If history is any indication, the Patriots will let the players test the market and find what their worth is, and then make a move to keep them here in Foxboro for 2018 and beyond. Last week we wrote that the decision by Rob Gronkowski on whether to retire would be best served if he made it earlier rather than later. Despite reports from national media sources that they expect Gronkowski to be in uniform in 2018, his agent Drew Rosenhaus has stated that he hasn’t made his decision yet and that it was going to take some time. Rosenhaus appeared with Mike Florio on his “ProFootballTalk Live” show and threw water on the reports that Gronkowski is all set to return. The team has decisions to make with both Martellus Bennett and Dwayne Allen, neither will be back for what their contracts are calling for but regardless, they’ll have to look to the future. A couple of names to check out in Indianapolis include Oklahoma TE Mark Andrews, who caught 62 passes for 958 yards and eight TDs last year in Norman. South Dakota State’s Dallas Goedert is an intriguing player with the Gronkowski-like style of catching and blocking. Despite being from a smaller school, he’s one of the top prospects at the position. And I’d be remiss without mentioning a Gamecock and the SC offense has a good tight end coming out, in Hayden Hurst, who is a bit older due to a baseball career as a pitcher that flamed out due to control issues but he’s a very good receiver with one drop (1) against 100 receptions. It appears that Julian Edelman is rehabbing extremely well from his preseason ACL surgery in 2017. With he and Malcolm Mitchell due back from their respective injuries, the Patriots, on paper, would be fairly set at wide receiver. Edelman, Mitchell, Brandin Cooks, Chris Hogan, Phillip Dorsett, and Kenny Britt return. Danny Amendola is a free agent but is expected to be at least courted to return in 2018. But age is creeping up on this group. Edelman will turn 32 in May, Amendola, 33 during the season, Britt turns 30 and Hogan will turn 31 this season. Cooks is the only youngster of the group. Dorsett is also young but he had trouble catching on with the offense a year ago and was barely used. Mitchell’s knee issues may be chronic and will be monitored moving forward. That was the big knock on him coming out of college. 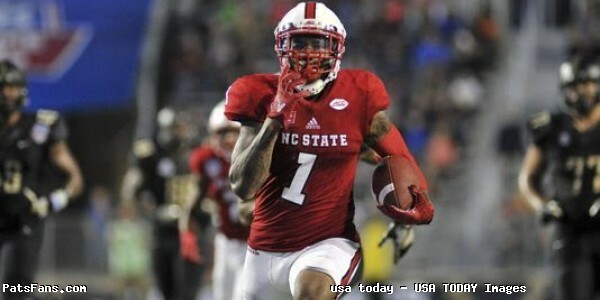 One receiver to keep an eye on is NC State’s, Jaylen Samuels. Samuels is actually listed as a tight end but will probably be a slot receiver in the NFL. NESN’s Doug Kyed wrote an intriguing piece on the Wolf Pack’s Swiss Army knife. Why will he change positions? Samuels is 5’11, 223 pounds. He caught 77 passes in his final season, but he can run the ball, catch it, block and even throw it, completing 2-3 passes. He’s a guy that can do a bit of everything…even running back kicks. Bill Belichick loves versatile players and Samuels fits the bill (no pun intended) to a tee. The Buffalo Bills have signed FA Vontae Davis to a one-year deal that has $3.5 million in guaranteed money. Davis signed because he was released last season and was allowed to sign anywhere he chose immediately. For Davis, the selling point was the young talent that coach Sean McDermott is assembling around Orchard Park and his belief that he can help. Davis on speaking to the media this week said although it was his first visit, his mind kept returning to Buffalo. “They made me feel at home. As I went on my visit and kind of evaluated, it felt like I was just drawn to Buffalo because of how everybody made me feel. I feel like they run their organization with a lot of integrity. They respect their players. I just felt like it was the place to be. The Bills also interviewed Louisville QB Lamar Jackson at the NFL Combine. It is intriguing because the system that Buffalo will use on offense, the Erhardt-Perkins system that Offensive Coordinator Brian Daboll will use, is what Jackson ran at Louisville so, if the Bills do select him, he’ll fit seamlessly into it. The Miami Dolphins have swapped a reported fourth-round draft pick to the LA Rams for edge rusher Robert Quinn. The two teams also swapped sixth-round picks. The trade will not become official until the league year begins on March 14. Quinn, 27, had 8.5 sacks for the Rams and has two years remaining on his deal which is set to pay him approximately $24 million over the course of the deal. The Rams dealt him in essence for salary cap space. Quinn paired with Cameron Wake and Ndamukong Suh, gives the Dolphins three very good pass rushers for their defense in 2018. The New York Jets released defensive end Muhammad Wilkerson on Wednesday, after a seven-year hitch that ended badly for both parties. Wilkerson was benched for the final three games of the season for being perpetually late for and sometimes skipping meetings altogether. For a player of his caliber and what he’s being paid, it was unacceptable. The Jets cut Wilkerson before March 16 or else his $16.75 million salary for 2018 would have become fully guaranteed. Team officials question his passion for the game once he got paid. He was the recipient of a five-year, $86 million contract that included $37 million fully guaranteed at signing in 2016 after a career year in 2015. Since that time, his play has gone down while his absences from team meetings have gone up. 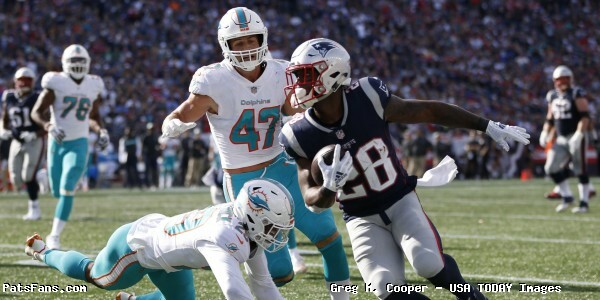 This entry was posted in NFL Commentary, NFL News, Patriots Commentary, Patriots News, Patriots Rumors and tagged 2018 Patriots Free Agency, 2018 Patriots offseason, 2018 Patriots season, Bill Belichick, Buffalo Bills, Chris Hogan, Danny Amendola, Dion Lewis, James White, Julian Edelman, Malcolm Butler, Martellus Bennett, New England Patriots, New York Jets, NFL, Patriots, Patriots edge rushers, Patriots running backs, Patriots tight ends, Rex Burkhead, Rob Gronkowski, Tom Brady on March 4, 2018 by Steve Balestrieri. The Patriots will enter the beginning of the 2018 league season with several important decisions to make in regards to free agency. Among the veterans looking for a new deal are Nate Solder, Danny Amendola, Malcolm Butler, Dion Lewis, Rex Burkhead, Nate Ebner and Matthew Slater. There are other veterans such as Brandon Bolden, James Harrison, LaAdrian Waddle and Cameron Fleming who have played significant roles at times and have been limited at others. We’ll be doing profiles on each of the free agents in the upcoming days and give you our take on whether they return or move on. 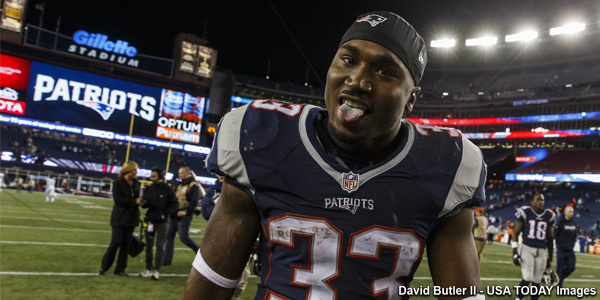 One of the key players facing free agency is running back Dion Lewis. Lewis put it all together in 2017 and proved that he can withstand the rigors of a 16-game season as well as three playoff games and at 27 years old, is in the great position to cash in on free agency. He’s won a Super Bowl and now he wants to get paid. Lewis’ situation is a bit different than other notable free agents as he’s missed so much time due to injury in the past, it will be interesting to see if there is a great demand for his services on the open market. But as always, the question remains, who does the team feel is one of their priority free agents? Will Lewis be one of the guys that the Patriots feel like they must re-sign him? Why Lewis Will Return: The Patriots settled on Lewis in the second half of the season as their go-to back and he didn’t disappoint. He carried the ball 180 times for 896 yards with six touchdowns. He added 32 receptions for 214 yards and three more touchdowns. But the bottom line was, once they went with Lewis, the offense was much more difficult to stop. Opponents had to respect the run as well as the pass and his versatility was on full display. As we mentioned above, Lewis showed he can stand up to being a feature back. His previous career high for carries was 64 in 2016, this season he nearly tripled that. Lewis displays the willingness to run the ball between the tackles and for a smaller back, showed remarkable ability to carry would-be tacklers for yards after contact. He also has the innate ability to make people miss in the open field. Lewis is a well-respected player by his coaches and teammates and they know what he can bring to the table. Why Lewis Won’t Return: There are a couple of considerations to think about here in regards to Lewis and his tenure here. First, the Patriots have never highly valued the running back position. So, will they pony up the kind of cash that they’ll have to, to keep Lewis in the fold? That is the big question. It will all come down to how much? Lewis isn’t going to sign anything quickly here. He’s earned his payday and will want to test the waters to see what he can bring in during free agency. The Patriots have allowed Dont’a Hightower and Julian Edelman to test the waters of free agency in the past with the stipulation that the player gives them a chance to match any offer out there. You can expect the same with the Patriots. Will another team try to wow Lewis away from New England with a big money contract offer? That is a distinct possibility. Other teams could see the potential with him and with the run/pass option he presents. He could easily be a fit with several other teams out there. It all comes down to money and the amount others are willing to spend. I could easily see the Patriots wish Lewis the best and wave goodbye this spring. Bottom Line: The Patriots, do, however, recognize what they have in Lewis and the dynamic playmaking ability that he possesses, especially in the open field. Does that mean, the Patriots will break their mold and pay top dollar for a running back? That part is doubtful. Bill Belichick has always been especially reluctant to pay big bucks to a running back, and one with an injury history like Lewis’.So have most other teams. 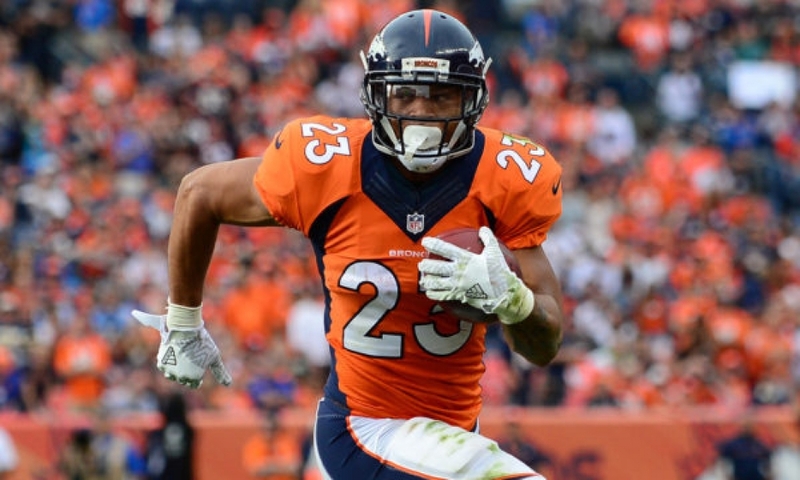 The NFL really doesn’t value the running back position like in days of yore. The Patriots have always eschewed the idea of a “feature” running back with the exception of Corey Dillon and have relied on a running back by committee with the likes of BenJarvus Green-Ellis, Stevan Ridley, and Antowain Smith. But this year was a bit different. Although they still used a committee, Lewis was the main guy down the stretch and he was equal to the task. So what would it take to sign him to a new deal? Several sites have been throwing around the numbers of a three-year deal in the neighborhood of $15 million dollars. If the Patriots are willing to pay Lewis that kind of cash, then I think the deal could definitely work. Reliability? He caught 32 passes on just 35 targets in 2017, that is a 91 percent completion percentage when the ball is thrown his way. That isn’t good, that is outstanding. And of course, there is the little stat that the Patriots are 32-3 when Lewis is in the lineup and just 13-7 when he’s not. So, the chances are good, better than 50/50 that Lewis returns to the Patriots for the next three years on a new contract. But it is far from a sure thing. He’s turned enough heads for other teams to look long and hard. And then Lewis will have to decide what is in his best interests for the long term before coming to a decision, but he’s earned that right. If the money is right, he’ll be back. If not, wish him well elsewhere. 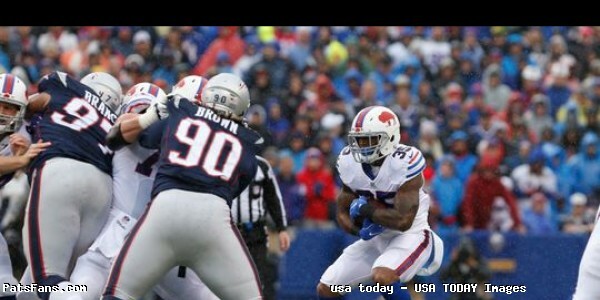 This entry was posted in NFL Commentary, NFL News, Patriots Commentary, Patriots News, Patriots Rumors and tagged 2018 Patriots Free Agency, 2018 Patriots offseason, Bill Belichick, Dion Lewis, LaGarrette Blount, New England Patriots, NFL, Patriots, Patriots running backs, Tom Brady on February 13, 2018 by Steve Balestrieri. One and a wake-up. That is all the time remaining before we have football for the remainder of 2017. The Patriots rookies have already reported as has QB Tom Brady, who pulled up in his Aston-Martin at Gillette as the Patriots go for the very rare Super Bowl repeat. And once they get back to work in training camp on Thursday, one player who is a great position to have a big season is running back Mike Gillislee. Forget about that silly 16-0 talk for a minute, because going on the road five out of six weeks in the back half of the season is no joke. But back to the subject at hand. Why Gillislee? And why not Brandin Cooks who is an explosive player? Yes, the Patriots are a pass first team with a sure-fire first ballot Hall of Fame quarterback in Brady who has an embarrassment of riches at receiver. Cooks, Julian Edelman, Chris Hogan, Danny Amendola, Malcolm Mitchell, with a healthy Rob Gronkowski and Dwayne Allen at tight end and James White out of the backfield, what’s not to like? 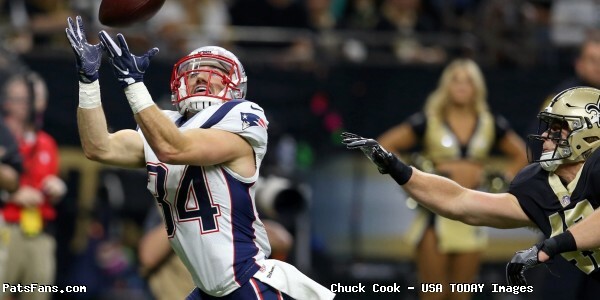 They will certainly throw the ball….a lot and Cooks is a guy who should be intriguing and exciting to watch this season. And opponents know this too. That’s why I would expect to see Brady facing a lot of nickel and dime looks to in the secondary this season. And when teams have sold out in pass coverage in the past, the Patriots and Brady have responded with the run to take advantage. Enter Mr. Gillislee. Gillislee is part of a revamped backfield that has to replace the very productive LeGarrette Blount from 2016. He and Rex Burkhead are new to the team and right now it is unknown how well they’ll mesh with James White and Dion Lewis. For that matter, will Lewis be completely healthy again after his ACL injury late in 2015? The feeling here at least for the first question is yes, the two newcomers will fit in well. He had a stellar 5.7 yards per carry average a year ago in part because of the speed and quickness that he hits the hole. Granted, Buffalo’s offensive is outstanding in the running game but I would expect Gillislee to have great success running the ball this season. Another 5.7 yards average? Doubtful but he’ll put up solid numbers. Gillislee is one of those one-cut runners with a good burst at the snap and he should hit the hole quicker than Blount did. Blount was always at his most effective when he’d get a head of steam and get to the second level where he was really tough to bring down. Gillislee doesn’t have Blount’s size at 5’11, 218-pounds but his straight ahead style and quickness allowed him to have 3.34 yards after contact average, good for third best in the NFL a year ago. He’s had good success backing up Shady McCoy in Buffalo and now the question is, how well will he handle being the upfront guy and can he be consistent enough to be successful? Both are legitimate questions but here in New England where Bill Belichick likes a running back by committee approach, he won’t be asked to be “the guy” just one of a stable of backs who, depending on the opponent, may have 22 carries one week and five the next. One week Gillislee may be leaned on heavily, the next it could be Burkhead. Then White or Lewis out of the backfield. Gillislee has already shown in Buffalo that he can handle an intermittent work load, so that part of it won’t be a factor for him. He should receive some help from an offensive line that should be better in 2017. The starters all return and last season’s rookie right guard Joe Thuney should be ready to make that big second year jump in play. Thuney started from Day 1 in 2016 and will be stronger after a year in the strength and conditioning program. Nate Solder returns healthy as well as center David Andrews, left guard Shaq Mason and left tackle Marcus Cannon who had a very successful 2016. So, the feeling here is that Gillislee will not only fill the void left by LeGarrette Blount but take it to the next level. With this offense loaded up in the passing game, opponents are going to have to sell out a bit to slow down or stop Brady and Co. That will play right into the hands of the running game. Gillislee is the third Bills player the Patriots have stolen off Buffalo’s roster the past two seasons. Chris Hogan had a very successful 2016 campaign. 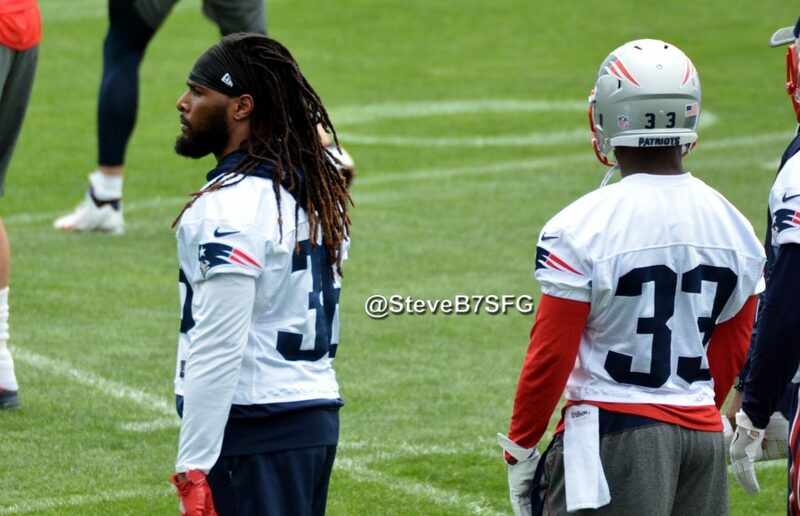 This year Gillislee and Stephon Gilmore will be trying to accomplish similar results… It all begins on Thursday. This entry was posted in NFL Commentary, Patriots Commentary and tagged 53 Man Roster Projection, Bill Belichick, Buffalo Bills, Chris Hogan, Danny Amendola, Dion Lewis, James White, Julian Edelman, LaGarrette Blount, Mike Gillislee, New England Patriots, NFL, Patriots, Patriots running backs, Rex Burkhead, Rob Gronkowski, Tom Brady on July 25, 2017 by Steve Balestrieri. The Patriots head into training camp in just a few weeks and there should no shortage of competition at several spots, especially at the back end of the roster. As a lead-in to the beginning of camp, we’ll break down the positions and give our take on who is a lock, a near lock for the 53-man roster and who is on the bubble. We start the week off at the running back position. So, with that in mind, we’ll start with the running backs, we know Belichick likes a running back by committee, which tends to keep those fantasy numbers down but keeps their legs fresh. The team lost last year’s leading rusher LeGarrette Blount to free agency but it seemed like they had no interest in bringing him back and just moved on. 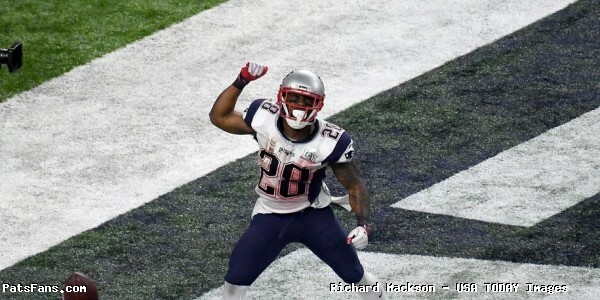 James White had a very good season backed with a tremendous effort in the Super Bowl. That parlayed into a three-year, $12 million-dollar contract extension with $4 million guaranteed and a maximum value of $15 million. He’s an excellent pass-catcher out of the backfield and has earned his payday. He was sixth in the NFL with Yards after Catch (YAC) with 540. Burkhead is a versatile guy brought over from the Bengals. He can run between the tackles, catch the ball out of the backfield and play special teams extremely well. He was the Bengals’ leading ST tackler last year. He’s a consummate professional and will fit in seamlessly here. He’s going to compete for reps, he’ll just have to show he’s consistent enough to warrant them all the time. He was given decent money on a one-year deal. Gillislee is the type of one-cut runner that hits the hole quickly that should bode very well in the Patriots offense. He will take over Blount’s duties and carries especially in the red zone. He’s more the size of Stevan Ridley than Blount but his quickness off the line makes him an intriguing player to watch this season. I think he’s another player that should fit very well here. Belichick likes to characterize Lewis as an inside runner more than a pass catcher. But the diminutive, water bug is a very difficult man to catch in the open field. His ability to make people miss is amazing at times. He wasn’t fully healthy after suffering an ACL tear late in 2015. The only thing that could hold him back is if he isn’t fully healthy now and his knee gives him problems again during training camp. As a lead blocker, Develin can really open some nice holes for the backs to get to the second level. They missed him in 2015 when he went on IR with a leg injury but his presence made a big difference last year. He’s a versatile guy that can line up as a fullback, H-back or a tight end. It would be hard to see him not making this roster. Foster is the wild card here again in 2017. 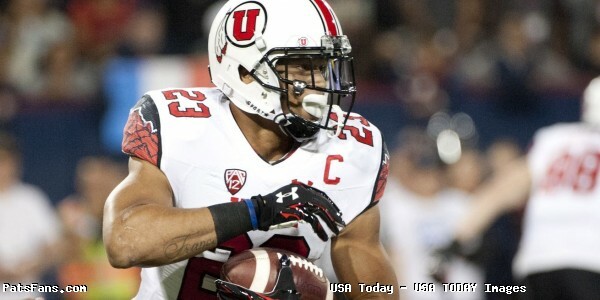 The undrafted free agent running back from Arizona State possesses the type of speed and quickness that Lewis has. He’s much taller however at just around 6’0 and has special teams’ versatility. He can catch the ball and I believe he can play in this league. But if he were to stay, who goes? This will be one of those tough decisions unless someone gets a case of the Foxboro Flu. It will be difficult I believe in seeing him pass thru waivers. I think unless an injury occurs, we may be seeing him playing in a different uniform this year. Bolden has always been a guy who was a core special teams guy and a very effective one. But this season will be a very difficult one for Bolden to be there for the final 53-man cut-down. Burkhead is another good special teams’ player and offers much more on offense than Bolden does. This could be one of those difficult decisions that Bill Belichick has to make. The Patriots signed…. and cut Gronkowski three times from the practice squad. But the good news is that they liked him well enough to keep bringing him back. 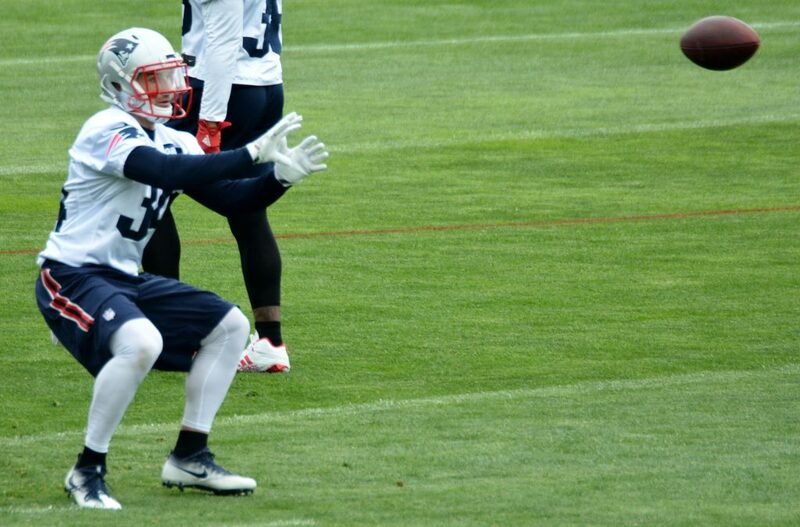 But the problem is this: As long as Devlin is on the roster and healthy, it is going to be very difficult for “Baby Gronk” to carve out a role….another Practice Squad opportunity perhaps awaits. Daniels has good size at 6’0 and 225-pounds and rushed for 1000 yards in Iowa last season, the first back at the school to do so since 2011. He has a decent jump cut and is very good between the tackles and in short yardage. 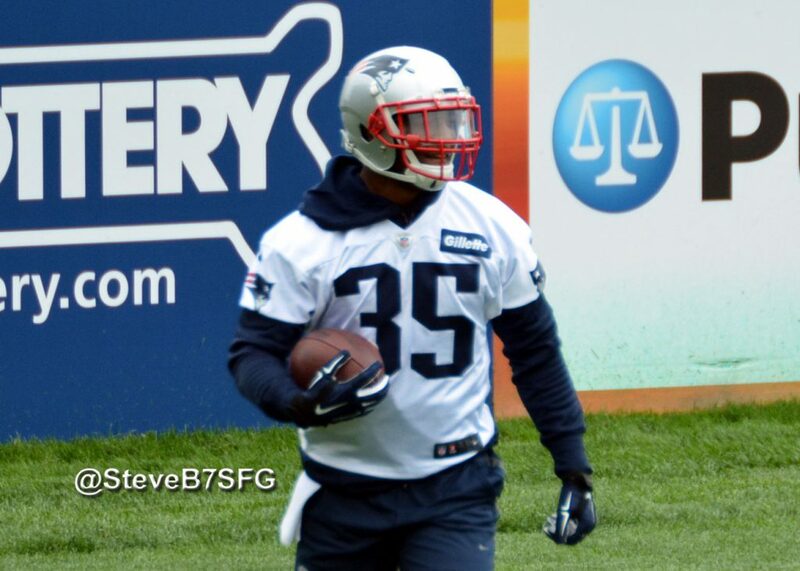 But with Gillislee and Burkhead vying for 1st team reps, he has a long uphill climb for a roster spot. But he’s a prime candidate for a Practice Squad slot if he shows he’s got down-the-road potential. This entry was posted in Patriots Commentary, Patriots News and tagged 53 Man Roster Projection, Bill Belichick, D.J. Foster, Dion Lewis, James Devlin, James White, LaGarrette Blount, LeShun Daniels Jr., Mike Gillislee, New England Patriots, Patriots running backs, Rex Burkhead, Tom Brady on July 10, 2017 by Steve Balestrieri.